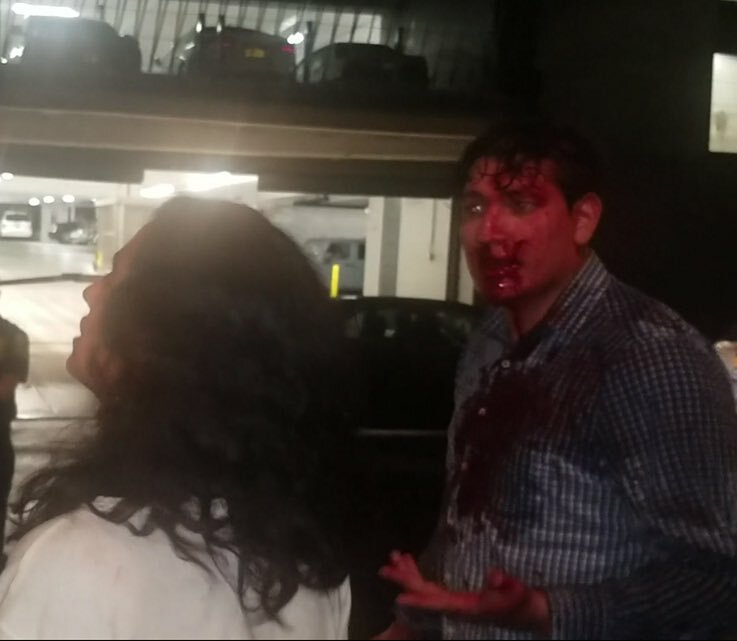 Trump supporter and Brooklyn, NY native, Jovi Val was assaulted in a Brooklyn Bar in early July for wearing a MAGA hat. 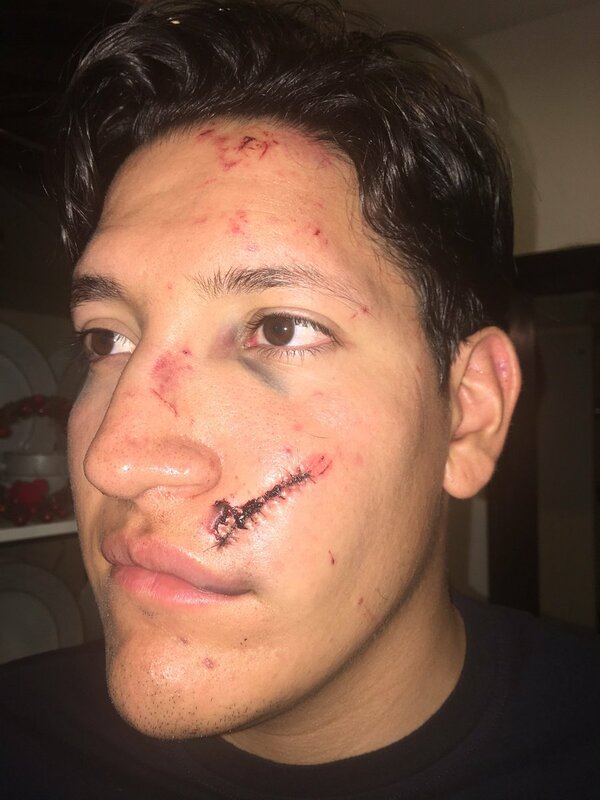 Jovi Val was hit in the face and the back of the head with beer bottles leaving him with a broken nose and a gash on his face which needed 15 stitches. Jovi Val of ‘The Modern Patriots’ went to a bar in NYC after Milo Yiannopoulos’ book party ‘Dangerous’. Val says he was dancing for a few hours on the dance floor when his red MAGA hat fell off. As he went to pick up his hat, a woman identified as Emma Rodriguez was stepping on his hat and told Val she hates the hat and hates him. Val pushed her away to retrieve his hat when he got into a fight with Rodriguez’s boyfriend, Leonardo Heinert. Val was then struck in the face with a beer bottle by Heinert. Rodriguez also struck Val in the back of the head with a beer bottle. Val, Rodriguez and Heinert were all arrested and subsequently released. Val was taken to a hospital where he received 15 stitches to close up the huge gash on his face. A pro-Trump plastic surgeon volunteered to fix Jovi’s face for free. 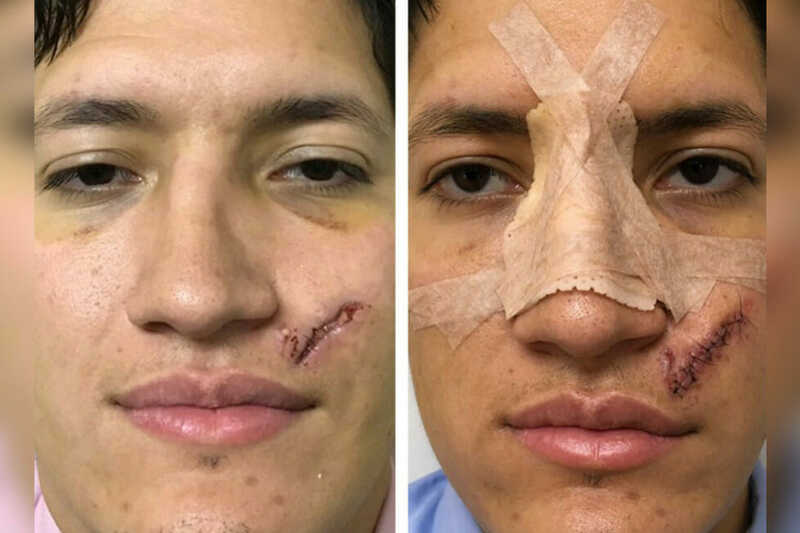 When a Brooklyn man was attacked with a broken bottle in a Manhattan bar over his “Make America Great Again” hat, fellow Trump supporter Dr. Joseph Pober had his back — and his face. The Park Avenue plastic surgeon was so troubled by the July 7 beatdown that he fixed Jovanni Valle’s face for free. 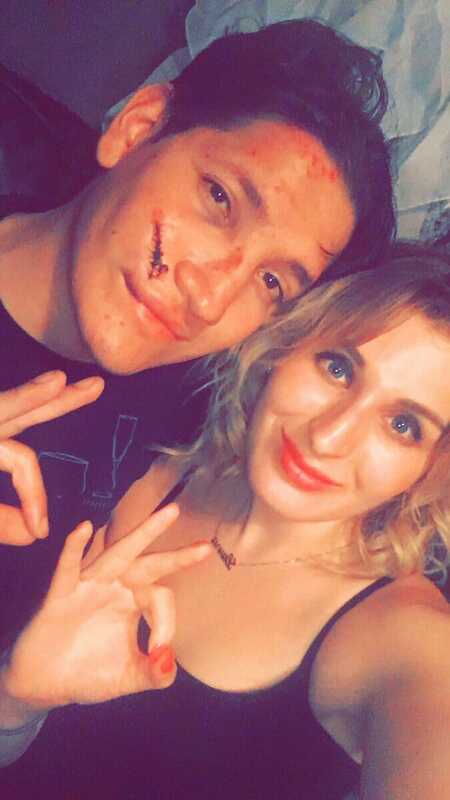 Valle, an uninsured 26-year-old right-wing activist also known as “Jovi Val,” was bashed over the head with the bottle during a 3:30 a.m. brawl at the Bulgarian bar Mehanata on the Lower East Side.